Over the past few decades, cancer has unfortunately become a more common diagnosis in cats and dogs. Advances in diagnostic tests available in veterinary medicine have greatly improved our ability to make these diagnoses sooner, which can make a big difference in the treatment options available to your pet. VRC would like to take this opportunity to counsel pet owners about how we approach a cancer diagnosis not only for your cat or dog but also for you. A diagnosis of cancer can feel devastating and be a difficult topic of discussion. Working with your veterinarian gives you and your pet access to information regarding the different treatment options available as well as what additional tests may be helpful in formulating a treatment plan. Be sure to ask any questions that you feel you need the answers to. Your veterinarian is here to help you understand what is wrong and what your options are. Unfortunately, there are some questions veterinarians still do not know the answers to, but we will do our best to give you as much information as possible to help you make the best decisions in regards to treatment for your pet and family. Veterinary oncologists can treat cancer in cats and dogs in a variety of ways, so it is important that you discuss the best options for your pet with your veterinarian. Being your pet’s advocate means that you need to consider what is best for him or her when there are multiple options for treatment available, which could mean making important, and sometimes difficult, decisions for your pet’s well-being. VRC has an oncology team dedicated to treating cancer in pets. Colleen Martin, DVM, MS, Practice Limited to Oncology is the newest veterinarian on VRC’s oncology team. Specializing in medical oncology, Dr. Martin will discuss the treatment options available for your pet including chemotherapy, radiation therapy, and surgery. VRC also offers holistic therapies for pets, including laser therapy, acupuncture, and aquapuncture, which can help reduce pain and promote healing. With the goal of increasing the length and quality of your pet’s life, VRC’s oncology department will always put your pet’s well-being first. You can expect a VRC oncologist to provide you with a list of options and recommendations for your pet’s treatment. In many cases, VRC’s oncology team is able to approach cancer using either chemotherapy, surgery, radiation therapy, or a combination of these treatments. In the end, our team hopes to either cure or slow the progression of cancers that pets who come through our doors are diagnosed with, so they can live their longest, healthiest lives with little to no pain. The oncology team can also provide resources to help you cope with the diagnosis your pet has received. While your pet’s treatment is of the utmost importance, we understand that this is an emotional time and can provide assistance to you as well. One great resource that VRC works closely with is Day By Day Pet Caregiver Support, who provides emotional support to caregivers after a difficult diagnosis and pet loss support to those whose pets have passed away or are facing the end of life. Day By Day has a support hotline, support groups, and other resources for grieving pet owners. When a cure is not possible, we will do everything we can to lengthen and improve your pet’s quality of life, as well as keep him or her as comfortable as possible as he or she faces the end of life. Whether you were prepared or not, losing a pet is a difficult experience. It is important that you allow yourself to grieve in ways that make you feel comfortable but also to let someone you feel close with or a counselor in on how you are feeling. Your feelings are valuable and talking about and working through them in a healthy way can help you heal over time. When you are experiencing loss, it can be beneficial to speak to a professional or other people who have experienced a similar loss. Don’t be afraid to ask people for additional support throughout this trying time. Again, Day By Day Pet Caregiver Support is a wonderful resource for people not only during the grieving process after a loss but also for the emotions you may experience from the time you receive news of a pet’s difficult diagnosis through the treatment process. If you have other pets, it can be helpful to try to keep their routine as normal as possible, as they are also probably experiencing the loss of their friend. The responsibility to care for other pets can be a great way to keep yourself going after the loss of a beloved pet. The death of a pet is often the first loss many children experience. It is important that you are honest with your children about the loss your family has suffered as withholding the truth about the death of a pet can cause confusion and anger for your children when they find out what really happened. It may be helpful to include your children in the process and help them learn to understand the emotions they are feeling. There are several books available that you can read to your children about losing a pet as well as counselors who can help them sort through these emotions. If you believe your pet has cancer or if you have received a diagnosis of cancer in your pet, be sure to contact VRC at 610-647-2950 today for an appointment. The veterinary oncology team at VRC is available to diagnose cancer and to provide pets with a variety of treatment options. 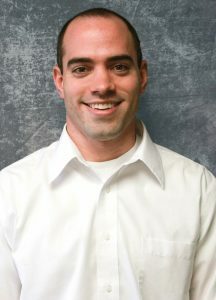 Welcome Dustin Lewis, DVM, DACVR (Radiation Oncology)! We are thrilled to welcome our newest radiation oncologist, Dustin Lewis, DVM, DACVR (Radiation Oncology)! The VRC team is growing! We are excited to announce that Dr. Dustin Lewis is the newest radiation oncologist at VRC! He brings with him years of experience and skill in the field of radiation oncology. Dustin Lewis, DVM, DACVR-RO grew up in Northeast Indiana and attended to Purdue University for both undergraduate studies and veterinary school. In 2010, he graduated and began a small animal rotating internship at The Animal Medical Center in New York, NY. In July 2011, he began a joint residency in radiation oncology at both North Carolina State University in Raleigh, NC and Colorado State University in Fort Collins, CO. Dr. Lewis completed his radiation oncology residency in July of 2013. Upon completion of his residency, he accepted a position as radiation oncologist at Red Bank Veterinary Hospital in Tinton Falls, NJ before he began also offering his services at VRC in 2017. To learn more about VRC and the many services that we offer, give us a call at (610) 647-2950. While it is always best to leave diagnosing a pet’s illness to professionals, it’s good to keep an eye on your pet’s health and be aware of telltale signs that your pet isn’t feeling well. Cancer can be a concern for many pet owners when a pet seems to be doing poorly, so in the following article we’ll discuss what to look for, and how to talk to your veterinarian in the greater Philadelphia area if you think your pet may have cancer. 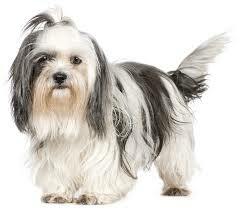 Every pet owner wants to see their dog and cat healthy and happy, as they are an important part of family life. So, noticing troubling signs means it’s time to look seriously at what is going on. Pets, while nonverbal, are actually very good communicators—if you know what to look for. Pets’ behaviors and actions—or their lack thereof—can speak volumes. If your pet goes through a sudden change in appetite, loses a significant amount of weight in a short time, or seems to be experiencing lethargy or depression, it’s definitely time to call the vet. The same applies if your cat or dog is exhibiting difficulty breathing, persistent coughing, or evidence of pain. Changes in bowel habits should also be noted. Other signs of cancer might show not in their behavior or actions, but in their physical body. When petting or grooming your pet, always pay attention to any lumps or bumps you might find. Wounds that won’t heal are also something to watch for. Even if your pet was wounded doing something common, their healing (or lack thereof) may be a sign of something significant. Also keep an eye—or rather, a nose—out for any abnormal odors, as sometimes a strange smell may be an indicator it’s time for a vet visit. Definitely consult your vet if you see any unusual discharges, as well. Of course, any or all of the above might be signs or signals of something other than cancer in your pet. That’s why the very best thing you can do if you see any changes in your pet is to contact your vet. They’ll know what tests to do, and if the diagnosis is cancer, they’ll send you to a specialty veterinary healthcare hospital, like VRC, for staging and treatment. No pet owner wants a diagnosis of cancer, but VRC can help. Our oncology service is staffed by thoughtful, experienced personnel whose primary goal is to help your animal maintain its quality of life throughout the cancer diagnosis and treatment process. Whether the solution is through surgical, medicinal, or radiation therapies, VRC will do the best we can to help your pet beat cancer, or preserve a good quality of life for the time a pet has left. VRC’s oncology service is part of our specialty veterinary healthcare hospital. Located in Malvern in the greater Philadelphia area, we’re here to help your pet through his or her cancer diagnosis and treatment. When your pet is showing signs of cancer, or has received a diagnosis of cancer previously, VRC’s team of oncologists and nurses will stage your pet’s cancer (find out if the cancer has spread elsewhere in the body), discuss recommended treatment options, and construct a treatment plan specific to your pet’s and family’s needs. Our oncology service is dedicated to providing comprehensive treatment and care for your pet. 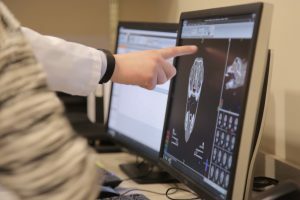 Our diagnostic imaging modalities include ultrasound, CT scan, digital radiography (x-rays), and access to MRI, which allow us to provide the most effective treatment possible, whether your pet needs medical, radiation, or surgical care. Our approach is multidisciplinary, because we believe in treating your pet’s cancer swiftly and effectively—and in terms of aftercare, we offer holistic treatment to support your pet’s healing and improve their comfort. For pets, cancer care is about quality of life. We believe in curing your pet’s disease, or slowing its progression—whatever its stage calls for—while ensuring your pet’s day-to-day life is as comfortable as possible. This means that you, as your pet’s owner, are as vital a part of our care team as our veterinarians or nurses. We’ll always keep you informed of what’s going on with your animal, so that you can be their first line of defense, as well as their primary provider of comfort and security. Cancer takes many forms, but on a basic level, it occurs when a body’s immune system is incapable of stopping certain cells from replicating abnormally. A tumor forms, affecting the body internally. As with humans, there is no one cause of cancer in pets. Certainly some animals are genetically predisposed, but other factors, such as environment, can play a part in causing several common types of cancer. If you suspect your pet has cancer, or have a diagnosis from your veterinarian, contact VRC. 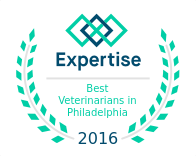 We’re a specialty veterinary healthcare hospital in the greater Philadelphia area, and our oncology facility is up-to-date and ready to help your pet with their diagnosis and treatment.